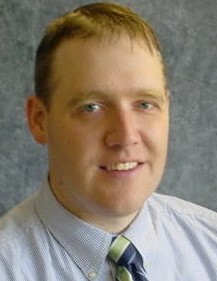 Dr. Thormodsgard practices General Surgery at Lakeview Clinic, joining the clinic in 2012. He grew up in the Twin Cities and attended St. Olaf College in Northfield, MN for his undergraduate degree. He received his Doctorate in Medicine at Creighton University in Omaha, NE and completed his surgical residency at Maine Medical Center in Portland, ME. He is board certified through the American Board of Surgery and is a fellow of the American College of Surgeons. Dr. Thormodsgard is trained in all aspects of general surgical practice. He has a special interest in laparoscopic surgery and is trained in robotic surgery. He has completed the Fundamentals of Laparoscopic Surgery Program through the American College of Surgeons. He cares for benign and malignant conditions of the colon and small bowel, gallbladder disease, hernias, skin malignancies, benign skin and soft tissue conditions, reflux symptoms and breast disease. He also preforms colonoscopy. He currently sees patients at the Waconia and Chaska Clinic and has recently added an outreach clinic in Arlington. He has surgical privileges at Ridgeview Medical Center in Waconia, Two-Twelve Surgery Center in Chaska, and Ridgeview Sibley Medical Center in Arlington. Dr. Thormodsgard lives in Chaska with his wife and children. In his spare time he enjoys golf, hunting, fishing, fine arts, travel, and spending time with his friends and family.